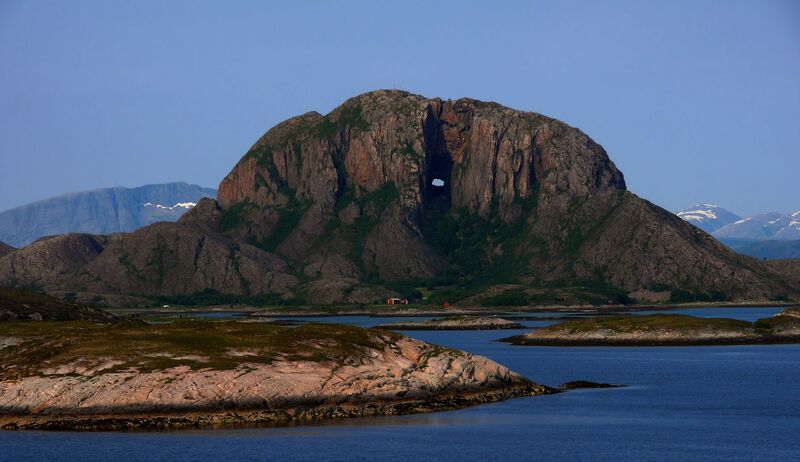 Torghatten - a fantastic nature experience with the big natural hole in the middle of the mountain. According to the legend of the Helgeland mountains, Torghatten was formed when the troll Hestmannen, disappointed in love, shot an arrow after the young girl Lekamøya who ran away from him. The Troll-King in Mount Sømnafjellet saw this and threw his hat between them; the arrow went straight through the hat and formed the hole. The sun rose, and everyone was turned into stone. 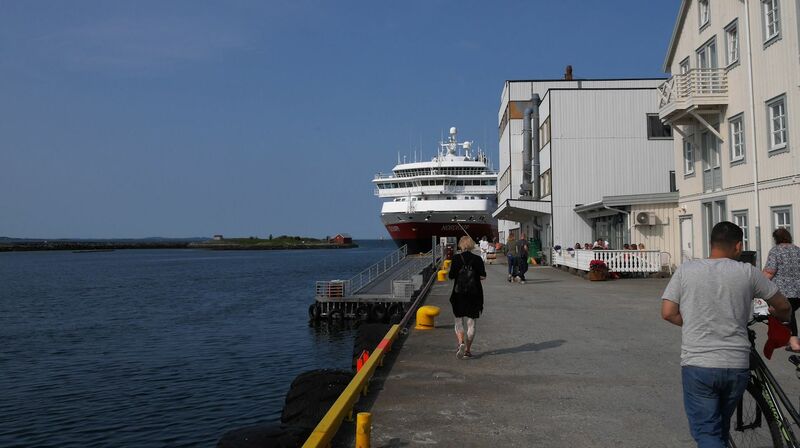 Just a small hour before passing Trollhatten we left tha small town Brønnøysund at the coast of Helgeland.